Asger Jorn reading Sartre’s L’Imaginaire. 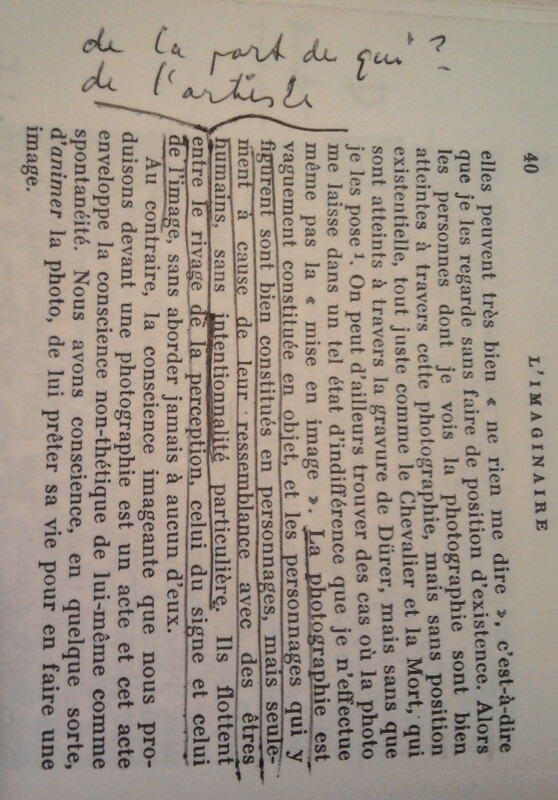 Questioning Sartre’s floating use of the term intentionality regarding the photograph. The fragment describes ambiguously the photograph or its content (the characters it depicts) as an object without particular intentionality. This article was posted in books, Photography and tagged annotation, annotator, Asger Jorn, intentionality, Vandalism, zoom. Bookmark the permalink. Follow comments with the RSS feed for this post.Post a Comment or leave a trackback: Trackback URL.